Interior Health is seeking a Licensed Practical Nurse - Orthopaedic Technician for Royal Inland Hospital’s (RIH) Emergency Room Department. RIH is a tertiary referral hospital and our Emergency Department has 18 beds, 2 trauma bays, a clinical decision area, streaming area, minor treatment area, and an ambulatory care area. We treat 75,000 patients per year. We see a broad spectrum of patients in age and acuity. Due to our geographical location and outdoor activities we see a large amount of trauma. This position operates in accordance with the competency guidelines and full scope of practice within the Standards of Practice as outlined by the British Columbia College of Nursing Professionals (BCCNP). Under the direction and supervision of a physician/nurse practitioner (NP) this position also provides orthopaedic care by performing duties such as assessing and evaluating patients’ conditions; reviewing x-rays to confirm plan of care; applying casts and splints; removing externally exposed pins, wires, staples and sutures; setting up traction equipment; and performing other related orthopaedic duties. We are seeking an Orthopaedic Technician certified LPN with comprehensive assessment and critical thinking skills to join our team in the Emergency Room. This position will rotate through the ortho clinic and the minor treatment area in the Emergency Room Department works in collaboration with the multidisciplinary healthcare team. Shifts of work will be rotating Days (07:30 to 19:40) and Nights (19:40 to 07:30). If you have passion to begin helping those coming into RIH for urgent and immediate care needs, we welcome hearing from you! • Graduation from a recognized program for Practical Nurses. • Completion of recognized training in Orthopaedic Technology. 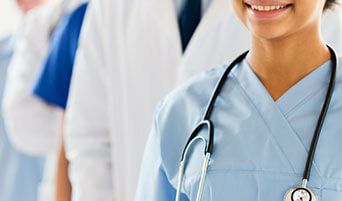 • Current full practicing licensure with the British Columbia College of Nursing Professionals (BCCNP). Interior Health values diversity and inclusion. Our goal is to cultivate a workforce rich in culture, experience and knowledge to ensure equitable health outcomes for all of the clients we serve. We are welcoming of all populations including our Aboriginal partners throughout the Interior Health Region. We are committed to increasing our Aboriginal representative workforce to build an engaged, culturally diverse organization focused on the goal of providing high quality, sustainable healthcare through an engaged workforce and healthy workplaces. We build inclusive, trusting and respectful relationships through our partnerships. At Interior Health, Every Person Matters. Are you an employee at Interior Health? Enter your Interior Health email address below and click submit, then use the share buttons above to refer a friend. Please make sure to use the Share buttons to complete the referral process. A region of spectacular beauty, agricultural abundance, and historic richness.